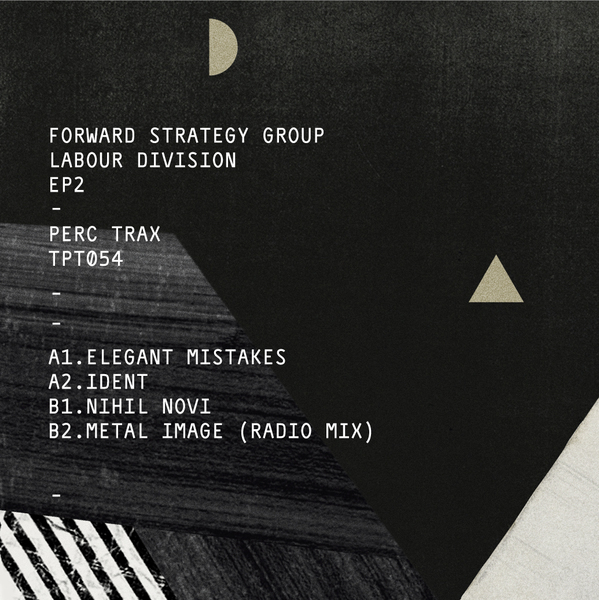 FSG lop-off highlights from their 'Labour Division' LP, backed with digital-only remixes by Sawf and Dom from Factory Floor. The immediate highlight is Dom's 'Michael Cliffe House Remix' of 'Nhil Novi'; nearly ten minutes of stereo-switching drum machine purism revelling in pointillist hi-hats patterns and stealthily evolving rhythmelodic sequences almost guaranteed to trance the f**k out of the 'floor. Athens-based prodcuer Sawf's mix of 'Mandate' is well cool, too. A bruxist churn of industrial drums organised with a signature kink for the dancers. Also included are 'Elegant Mistake', which strongly reminds of DJ Pete's 'Latifah' 12" on Counterbalance, the gloomily evocative 'Ident' and the submerged grind of 'Metal Image'. Support from JD Twitch, Truss, Moerbeck, Mosca.